I had been invited to address a group of Paul Harris Fellows at a Rotary function in Tauranga. Paul Harris Fellows are men and women who have made a great contribution to the community one way or another – the invitation to speak about education had been deliciously vague with regard to subject matter. I started by expressing my great respect for Paul Harris Fellows and reflected with some pride that I had once been a Rotarian (but not a P. H. Fellow) and noted that once in a “Rotary Quiz” I had been able to successfully name the three fellows who met with Paul Harris back in the 1920s to establish the Rotary Movement. It surprises us the stuff that once learnt sticks in the mind. I had the previous Monday been at a dinner which I was delighted to have heard a speech from Golpalkrishna Gandhi, the grandson of Mahatma Gandhi. It brought to mind the old anecdote that when asked what he thought about British Civilisation, Mahatma Gandhi said that he thought it would be a good idea. I confess that I thought the same way about education. Education has not been getting a good press lately – student / teacher ratios, school closures and restructuring in Christchurch, the teachers payroll and the scumbags who prey on young people. You would think that all of us in education were going to hell in a hand-basket. Some years ago there were some features of the system that have since been in decline. Esteem for education and those who work in it has diminished and the community no longer gives the unconditional support for schools that once they did. There is less willingness to provide health and welfare intervention, provide dental care, provide food (well, except milk anyway) – the attitude has been one that sees such efforts now “silo-ed” into the budgets of different government sectors. Above all there were many options in terms of student pathways. The clear signals the system gave young people about the route to employment and opportunities were there – apprenticeships, work, earning and learning opportunities. I then turned my attention to the aspects that were going to have to work more effectively. Connecting the dots – the old ECE / NCEA Level 2 / Postsecondary qualification connection. Achieving equity in outcomes – this is what strips us of our “world class” aspirations and it is not possible to get the medal when you come first and last in the same race. Developing pathways – one track general academic secondary schools have done their dash internationally in terms of meeting the needs of all the community – we need many different options and ways of getting through successfully into employment and continued education and training. Differentiated secondary schooling is the marker of successful education systems overseas. Earlier access to vocational education is also such a marker. It makes no sense to delay exposure to and options in vocational and technical education when the result for so many young ones in our unitarian schools is simply to fail. So there is a need to fix the senior secondary school (one size has never fitted all the needs that young people in the community have). I then quoted the next but seldom quoted next paragraph in the statement. They were kind enough to say that they had enjoyed it and the questions flowed and showed a commitment to education that we are not harnessing and which we ignore to our own detriment. Pathways-ED: The Tangled Web we Weave! There is less than meets the eye with the series the NZ Herald has published this week on NCEA Schools under a claim that it tells us how well our schools are performing. The results cannot be taken at face value for a number of reasons. First, the figures presented are simply percentages of those who participated in NCEA at the level deemed appropriate for that year. They do not include those who drop out of school, those who are not entered by the schools, those who do not finish the year and so on. The only true measure of success for education organisations is the percentage of the cohort who succeed. So the figures that we need for school success in 2011 are the percentages of the respective cohorts (2007, 2008, 2009) who succeeded. But even these figures are distorted by those who do accumulate enough credit to claim success at a level over two or three years. And further distorted by the transience that is a feature of schools. The cohort Year 13 will have quite a proportion of students who were not in the 2007 cohort. These are the 2010 figures that are the actual performance of the cohort (i.e. for the group that started secondary school in 2006) in NCEA. And these statistics raise the second issue. The success and/ failure in NCEA is no reflection of equity in our community. Our schools are not bringing students through to meet levels where they have a basis for going forward with education and training. The Herald tables don’t tell us this. Nor do the league tables tell us about the gaps that exist. For instance, in one area of Auckland the school figures look pretty good with a wide range of results mostly above 65% and liberally sprinkled with 70+ and even 80+ percentages. Well done, I say. But as was always the case with the old School Certificate system, success masked failure. But a measure of the same area shows that at age 15 there are, in round figures, 1,500 learners in the area. At Age 17 this group is reduced to around 700 and at Age 19 there are only 400 left. This level of disengagement from education and training will always be hidden in the league tables as they have been presented. The third fallacy that the tables perpetrate is the view that NCEA in itself represents an achievement. 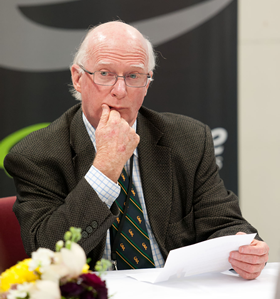 NCEA is simply on the way to something else and it is that something else, the post-secondary qualification, that becomes the basis of success in employment and in most respects, life and how are we going in this. I did a little exercise in 2010 that took 100 babies born in 2010 and applied all the success profiles that we have for the different ethnic groups in the baby cohort and asked “How many will have a post-secondary qualification in 2033 – a generous timeframe. I concluded that 29% was the answer. Now this was not an elegant statistical exercise but some who knew much better concluded that the result “looked about right”. And so to the fourth fallacy. There are quite a few students, just how many is not fully understood but it could be quite a large group, who get the equivalent of NCEA Level 2 through other pathways – foundation and bridging programmes in tertiary education, courses and qualifications from private providers and so on. Getting a more accurate picture of performance is going to be critical. Because the Better Public Service Goal of the Government is a brave target – 85% of all 18 year olds having NCEA Level 2 (or its equivalent) by 2017. And this is a target to be interpreted in a way that does not allow for the poor performance of some groups of learners to be obscured by the excellent performance of others. But the NZ Herald and I imagine quite a few in the community and I also imagine some schools will have either been tickled pink or turned green with envy at the whole rather meaningless exercise. It is an interesting discussion that has arisen on the use of haka in general and Ka mate! Ka mate! In particular. Valerie Adams was first to throw in the debate expressing in her recent book consternation at the actions of the Olympic Team Leader Dave Currie in unleashing a haka at 2am in the night after her victory causing some disturbance to other athletes. Her view was that it was over the top, well past a reasonable hour of the night and something of a habit that Currie had developed – the planned spontaneous haka. That led to some interesting comment from a sports writer wondering why the All Blacks persisted with the Te Rauparaha haka rather than using the one specially written for them – Kapa o pango. This then led to a general discussion of the propensity for the haka Ka mate! Ka mate! to be done to death at the drop of a hat in versions that ranged from the moving to the grotesque, in settings that ranged from the appropriate to the absurdly inappropriate, and in styles that ranged from the respectful to the total disgusting sham. The point was made that many schools grace sporting occasions with a haka that belongs to the school (especially the boy’s school) and that many rugby teams in the regions start and / or finish the big game with one of their haka. The Ka mate! Ka mate! haka has become de rigueur to the current generation and one wonders why the keenness to “perform” it increases with the hour of the night and the extent of the carousing that has preceded it. Men in black tie gear have been seen to strip off at a formal event and give all that they have got (and often all that they know). I have seen grown men in formal places and in other countries feel that such a display was something of an obligation. It is not pretty and they should all return home and wonder about the respect they are showing to a cultural event and artefact that defines New Zealand Aotearoa. It is hard to imagine a comparable insult that could be visited upon the Pakeha. The challenge to do something about this will only be met by what we do in schools with the oncoming generation. They learn lots of things in school and can certainly learn a haka or three. But the real difficulty is that when we are asked to behave as if we come from one country, a group of people drawn from different places has to have a default position – and the haka emerges. What can we do to provide to young New Zealanders the means of cultural and country expression that can unite us in a public show of unity in performance? The Australians have “Waltzing Matilda”, the English a whole sack of old numbers – “Land of Hope and Glory”, “Jerusalem” – the Scots have many a ditty and even more when the uisge (40%) flows. But what do we have? Perhaps we should agree on ten waiata that all New Zealanders will know and be able to sing with beauty and skill. Then late at night in some foreign place, a group of New Zealanders could come together and appropriately, gracefully and correctly express wonderful sentiments and emotions in song. Perhaps more attention could be paid to the context in which haka are appropriate, the grace and skill of the haka when performed well (c.f. Sir Apirana Ngata leading the haka in front of the wharenui at Waitangi in 1940), or go to any cultural festival such as the schools’ Polyfest, or Te Matatini. There has to be more to us as a people than the denigration of culture and “Ten Guitars”!